Be a teacher who writes. Join the SOLSC! The Slice of Life Story Challenge began on Two Writing Teachers in March 2008. The mission of this online challenge was to support teachers who wanted to write daily. The purpose was to create a community of teacher-writers who would be able to better support the students they serve in writing workshops daily. Teachers were invited to write a slice of life story on their own blog and then share the link to their story on this blog’s call for slice of life stories. Then, each person who left a link to their blog visited at least three other people’s blogs to comment on their slice of life writing. Not much has changed since 2008 when 12 educators participated. Through the years more teachers have joined the ranks of what we call “Slicers.” Teachers invited colleagues. Friends invited friends. Daughters invited mothers and vice versa. Next month we’ll host the Seventh Annual Slice of Life Story Challenge. In the weeks to come, we’ll provide you with information about the support team, prizes, and the second Classroom Slice of Life Story Challenge. For now, I wanted to take time to share some basic information with you to help you get energized for our March writing challenge. NEW TO SLICING? Read this: If you are tinkering with the idea of jumping-in to this writing challenge, but you’re unsure of whether or not it’s for you, then I hope you’ll join our writing community. Whether you’re are nervous about going public with your writing or think you’re not that good of a writer, then I’m here to tell you the that you can be a Writer by taking on this Challenge. If you tell yourself it will take time to get really comfortable putting words into a blog post, then you can be a Writer. If you tell yourself you will shut down the voices in your head that tell you you’re not talented enough, then you can be a Writer. If you tell yourself you can positively impact the lives of your students by writing regularly, then you can be a Writer. It takes time and practice, but everyone can become a great Writer. In an effort to help you get started with Slicing, I created the infographic on the right. (NOTE: I’m not a graphic designer!) It contains basic information to help you get ready for the March Challenge. If you have questions after you read it over, please contact one of our Challenge Concierges. These are people who’ve participated in two or more Slice of Life Story Challenges. They’re a wealth of information! If you still have questions, then please e-mail me at stacey [at] staceyshubitz [dot] com. Created with Skitch. Click on the image to enlarge. 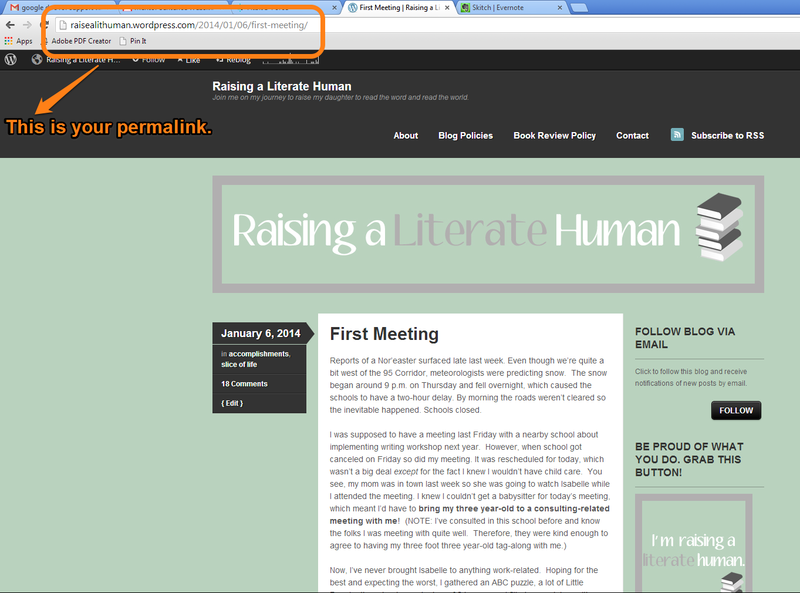 Leaving a new permalink daily provides readers with a perpetual link to each of your blog posts. In addition, if you write and link your slice daily in March, you’ll be in the running for a prize. Your permalink serves as proof to our Giveaway Guru, who is the person who writes daily, that you wrote daily. Therefore, our Giveaway Guru needs to be able to click on each of your links when she cross-checks who wrote every day at the end of March. RETURNING SLICER? Read here: If you’ve already participated in one of the previous March challenges, I hope you’ll return this year. Consider inviting a friend, family member, or colleague to participate. Remember: the person doesn’t have to teach writing workshop to be part of this challenge. [In 2013, my friend Rachel, who is a high school math teacher, participated in the Challenge. (I’m hoping she does it again this year. Hint, hint, Rachel!)] While the purpose of the Challenge is to foster a community of teachers who are Writers, we’re open to people from all subject areas, in all stages of life (e.g., working, retired), etc. Are you excited about next month’s Slice of Life Story Challenge or do you need some motivation to commit? Share your thoughts by leaving a comment. I will be participating for the first time. 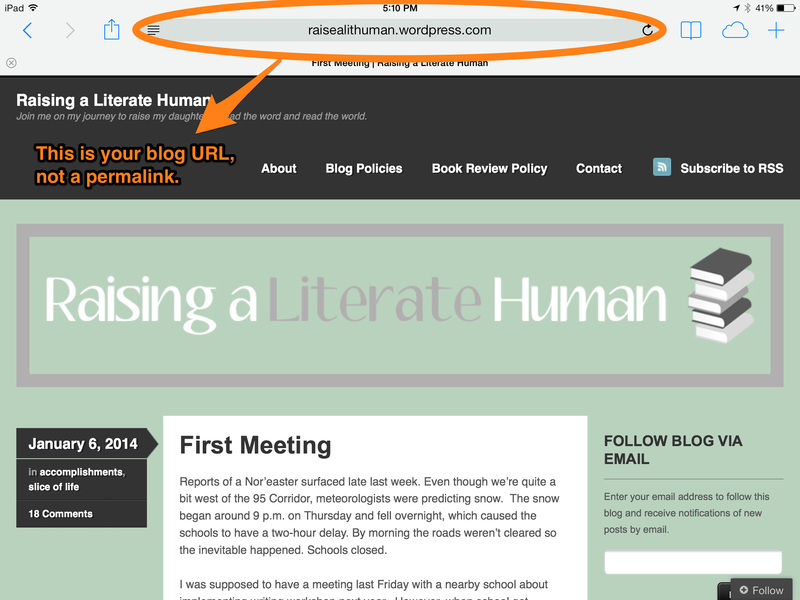 Thank you for including the link to Rachel’s blog! When I hear the word “story” I think of fiction, and it’s reassuring to know that we can write about anything, in any genre. I post to a blog a couple times a month, but I’m up for the challenge of daily writing! I am so excited about getting all 3 of my Middle School classes in on the challenge this year. Can someone point me to a link for a sampling of middle school slices? Is there such a thing? It’s Sunday evening, my lesson plans aren’t finished and there are still papers to grade! No time to hunt for such a thing! Thanks in advance! I am ready to challenge myself again, as a second-time SOLC participant! And this year, I’m a new librarian, too, so I’m going to try and connect my writing with books and reading as much as possible–a challenge times two! I love the new logo! It is so cheerful and packed with vitamin C after this very long winter! I’ve been on a Cara Cara orange kick for weeks. Maybe it’s related to this fun image! Making the commitment to write every day (some years I am better than others!) improved my teaching so much! I got to feel what it is like to have nothing to write about, and yet need to write anyway. I was reminded what it feels like to be a student and have the teacher “force” writing time on me and my brain, and what to do when my brain won’t cooperate. It also reminded me that not all writing takes place when pen hits paper, so to speak. I started to think like a writer, and to have patience with students who seemed to be wasting writing time. It helped me come up with strategies for helping my students get started and keep going, instead of just sharpening their pencil for 27 minutes. Love that final line, Lisa! Excited and I am working on/with a group of students who are up for the challenge. We will do and learn together. Wouldn’t be so courageous without this community to support the work. By the way, love the new logo. Love the logo! I may give it a try. Writing every day? Yikes. That scares me a bit! You can do it with the support of this community! I hope you’ll give it a try. Yes! Tara’s call for slices is up now. Love, love, love the new logo! 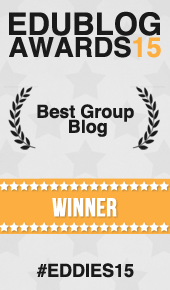 (It matches my blog! lol!!) I can’t wait to slice and slice with my students and help out. I’m working on getting teachers to slice as well!!! Can’t wait! Yes! It is time for extensive writing and commenting. And I’ve challenged a group of teachers I went to the English Conference at Asilomar 61 with to join us and write daily. I am happy to be a hostess because that gives me more responsibility to the work. 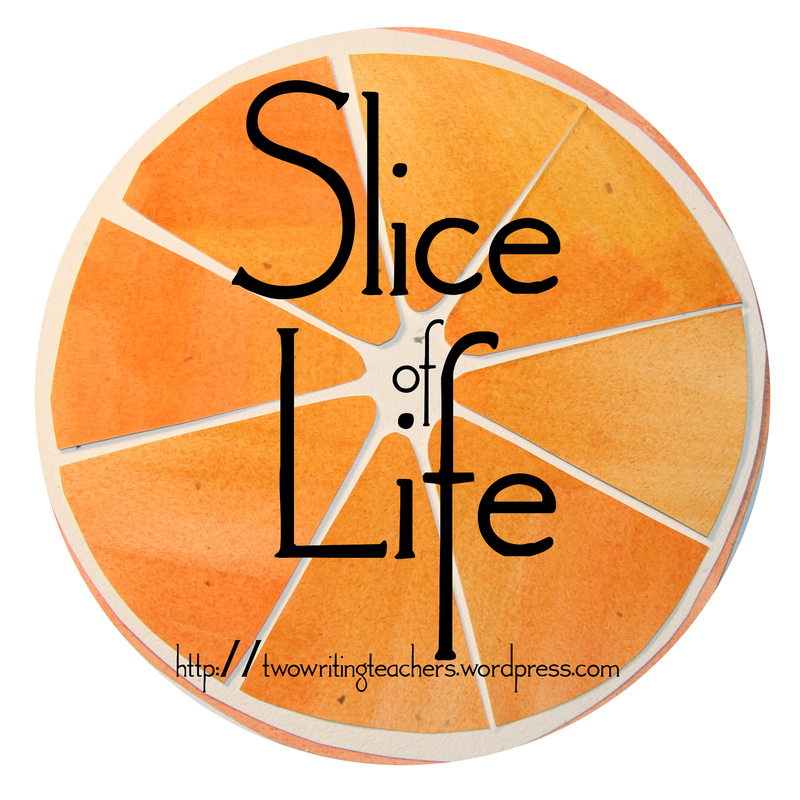 Please link your slice of life story on today’s call for slices, https://twowritingteachers.wordpress.com/2014/02/04/16207/. Thanks! Love the logo! Have to start using it! Next up: trying to add to our district slicing team! That’s a lot of !!! Ha ha. Can you tell I am excited? Love the new logo and the infographic is terrific! Looking forward to March! Got the logo! Love it! I am meeting a colleague in a few days to get her set up for Slicing! Yay! Yea! Way to bring more people into the fold, Margaret. Will you be slicing with your students again? Yes, we will be slicing again. They would not miss it! Love the logo and am super excited for Slice of Life Challenge. I was one of those who was sure I couldn’t do it but I was wrong! A little push and encouragement from this great community of writers I have completed two years of writing everyday (well almost) in March. Yeah for March!